I am finally done with my VHS digitization project and therefore ready to sell my gear. I deally I would like to sell locally (Cambidge, MA), but I can also ship the gear. I will buy the ES-10. Please let me know how much I should add to ship to 89134. You can PM me your PayPal address. Just checking if this is still available. I am PayPal verified. Thank you. I am really sorry Andy. I have been super busy the last month and therefore was not able to ship it out and answer in a timely manner. The setup is still for sale and I finally have time to ship it out. Local pickup is still preferred. I have to agree with Andy, my communication style was bad, I will be better about this from now on and will check here every day. I apologize again. All of the items still available. They will end up on E-Bay soon, if there is no interest. I will post some new pictures showing that I have gathered appropriate shipping material now and everything is ready to and can be shipped within a day or two. You'd better wrap that tightly in bubble wrap, 2+ layers, or it'll get destroyed in transit. Also, starting with a compromised box (bends where bends should not be) will get much worse by the time it arrives at the destination, so double-boxing is wise. I use heavy-duty Lowe's moving boxes for a reason, cut them to size. I will make sure everything is shipped out securely. I have much more packaging material at my disposal now - this is just a snapshot. 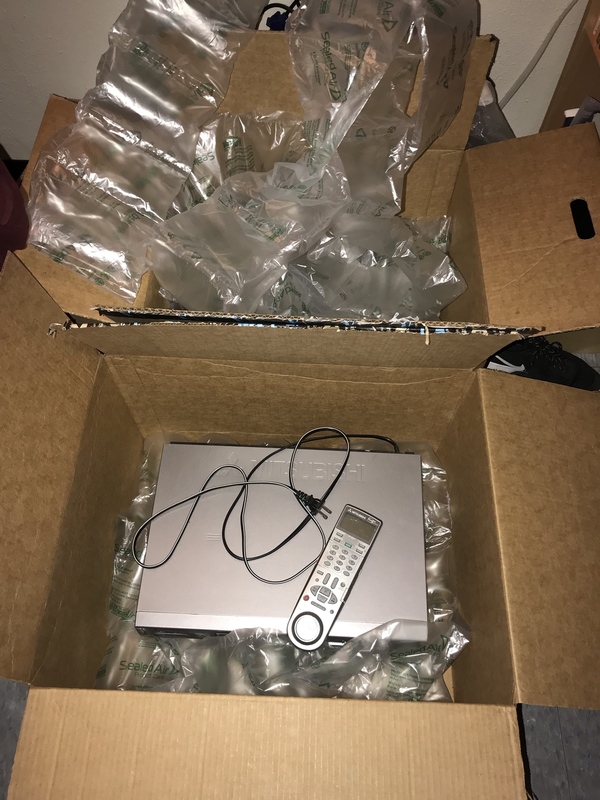 I will probably wrap the VCR in fine bubble wrap and then in then fill out the rest of the box with the air pouches in the picture. The boxes are very thick walled and oversized so I am confident nothing will happen. The computer has been sold to PR_Media_Info. The VHS recorder has been sold on EBay.